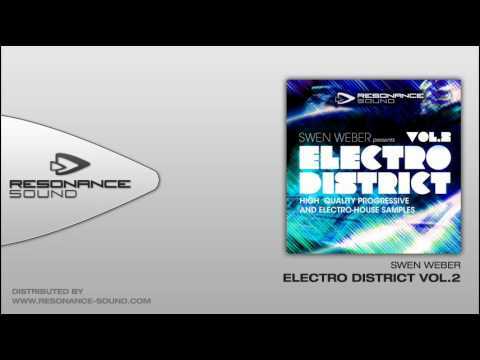 Major force-DJ Swen Weber presents the latest treasures “Electro Disctrict Vol.2” of his sound library on Resonance Sound. Major force-DJ Swen Weber presents the latest treasures of his sound library on Resonance Sound. “Electro District Vol.2” is an explosive collection of assertive loops in countless variations, especially one big bass loop section with numerous distinctive compression sound. The extremely effective drum, effect, vocal and synth loops completed by aggressive kicks, tight claps and whipping snares build the first part of this outstanding Electro House collection. Another cracking pack from Swen. Big brash bold electro bass lines & lead lines that will no doubt be featured in any self respecting Electro producers tracks for the next 6 months. Quality is stamped all over this pack!